Are you looking to drive more organic traffic to your online store? To increase your chances of ranking high in Google and generating more organic traffic, you’ll need to optimize your website for search engines. The first step in optimizing your ecommerce website for search engines and increasing your organic traffic is keyword research. Ecommerce keyword research is the process of finding out which keywords and search terms customers are using when looking for products online. Understanding which keywords shoppers use allows ecommerce businesses to learn what type of content they need to create and how they should present it. To be able to rank on the first page of Google, ecommerce businesses need to use the right keywords. With the top three spots in the search engine results receiving more than 60% of the total traffic for a particular search, keyword research is crucial for attracting more organic traffic. There are three main factors you need to consider when choosing keywords on which to focus your SEO efforts. These are search volume, relevance, and search intent. Search volume is one of the most important metrics you’ll need to look at when choosing keywords because there’s no point in spending time trying to rank for a particular keyword if almost no one is searching for it on Google. Keep in mind that what constitutes low and high search volume depends on the industry and the specific product in question. For certain products, 100 searches per month could be a lot. On the other hand, in certain industries, even 500 monthly searches might be considered low volume. There are also keywords that exhibit seasonal variations in search volume such as keywords frelated to Halloween costumes or Christmas gifts. While you should be looking for keywords with a decent search volume, you shouldn’t neglect relevance. Throughout your research, you might find keywords that have great search volume and very little competition, but they won’t be relevant to your business. Ranking for such keywords is pointless since visitors coming from those searches most likely aren’t interested in what you’re selling. This will result in high bounce rates, and you’ll quickly stop ranking for those keywords because Google will see that you’re not providing visitors with what they need. When someone does a Google search, they’re doing it for a particular reason. Perhaps they want to learn how to do something, find out a particular fact, or make a purchase. We call this search intent. Navigational Intent - Some users will type the name of the website they want to visit into Google instead of typing the website’s URL into the browser’s address bar. This is what’s known as navigational intent. Informational Intent - People who are searching for particular information that they currently need have informational intent. These people might be searching Google for information on anything from fixing their garage door to learning how to play the piano. Commercial Intent - Users that are interested in a particular product but are still not sure if they should buy it often look for reviews and recommendations online. These users have commercial intent. Transactional Intent - Shoppers that are certain that they want to buy a specific product and are looking for a website where they can do it have transactional intent. As an ecommerce business, you should be focusing on keywords that show commercial or transactional intent. In other words, you should be targeting and optimizing for keywords that people use when they want to buy something. There are plenty of different ways to find keywords. 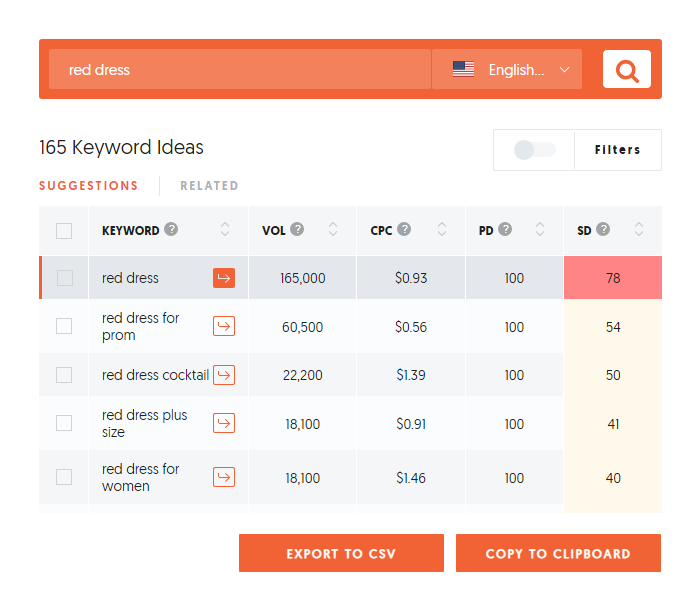 We’re going to show you four free and easy solutions for keyword research: Amazon, Google Search, Google Keyword Planner, and Ubersuggest. Amazon is the starting point for most product searches. Amazon searches also inherently imply commercial and transactional intent. All of this makes Amazon the perfect place to start your keyword research. Type in a keyword related to your products into Amazon’s search bar, and note down all the auto-suggestions that Amazon displays that are relevant to your business. Another great source of keywords are Amazon’s categories and sub-categories. Some of those will most likely also be suitable for use on your own category and product pages. Using Google itself is one of the easiest ways to find keywords. Simply start typing a query related to your products and Google will provide you with a number of suggestions. You’ll also be able to find related searches at the bottom of the search results page. Write down the keywords and search queries that Google suggests and repeat the process by using different search terms and noting down all of Google’s suggestions. Google Keyword Planner (GKP) is Google’s own keyword research tool, originally developed for advertisers. To start using GKP, brainstorm a list of seed keywords related to your products. Once you enter these keywords into GKP, it will show you a list of related keywords along with their average monthly search volume. Go through this list and find keywords that are relevant to your business. Ubersuggest is a popular keyword research tool among marketers. It allows you to generate a large list of keyword ideas very quickly. Type one of your keywords into Ubersuggest, and it will provide you with hundreds of keyword ideas. These keywords can then be filtered by search volume and difficulty. Make sure to note down all relevant keywords that Ubersuggest gives you. 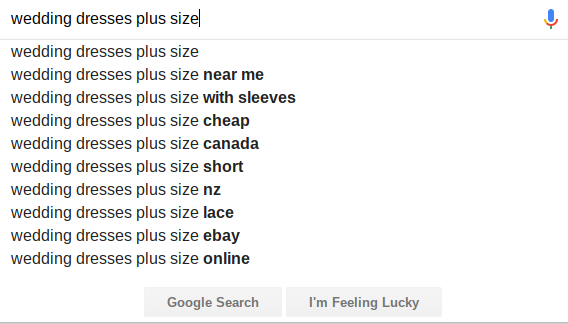 Product Titles and Descriptions - Choose a primary keyword for which you’ll optimize a specific product page. Include this keyword in both the product title and the product description. Don’t try to force the keyword in but rather try to use it naturally. Product Categories - During your keyword research, you probably found a decent number of product keywords that could have their own category on your website. Use these keywords to create new categories as well as rename existing ones. URLs - Google has confirmed that the first 3 to 5 words used in a page’s URL can influence your ranking. Try to include the primary keyword you’re trying to rank for in your product page’s URL. Focusing on optimizing your website for the right keywords is crucial for driving more organic traffic to your ecommerce business. 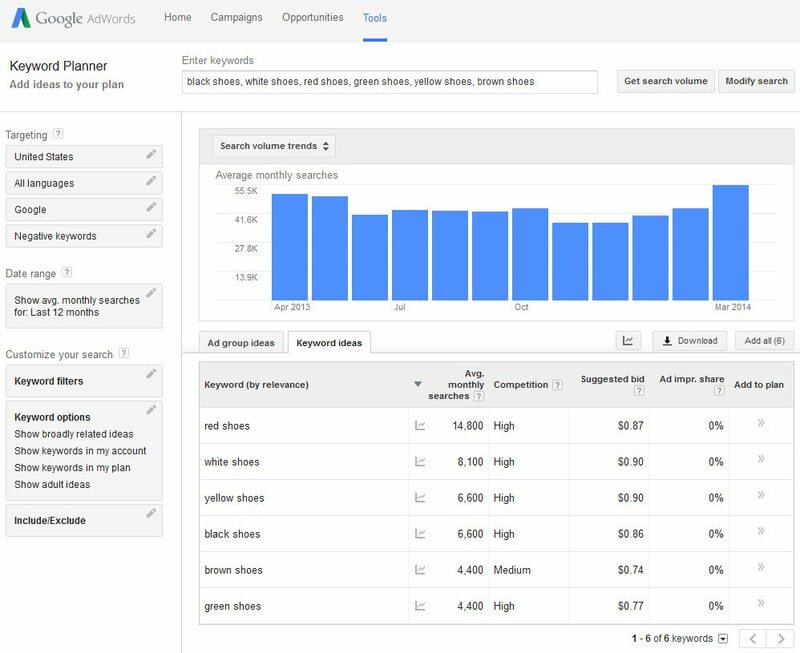 When performing keyword research, you’ll want to focus on keywords that are relevant to your business and that show commercial or transactional search intent while having a decent-sized monthly search volume. Amazon is a great place to start looking for keywords because it’s the first website most shoppers visit when looking to buy something. Apart from Amazon, you can also use Google and Google Keyword Planner as well as Ubersuggest. Once you’ve identified the keywords you’d like to target, make sure to strategically place them in your product titles and descriptions, product categories, and website URLs. Still not sure which keywords you should be targeting? Let us do the hard work! We’ll analyze your market’s keyword demand, find keywords you should be targeting, and provide you with recommendations for title and meta tags, as well as URL structure.